I basically set up an intense five weeks consisting of four races, with two of them being half-irons. Was I crazy? 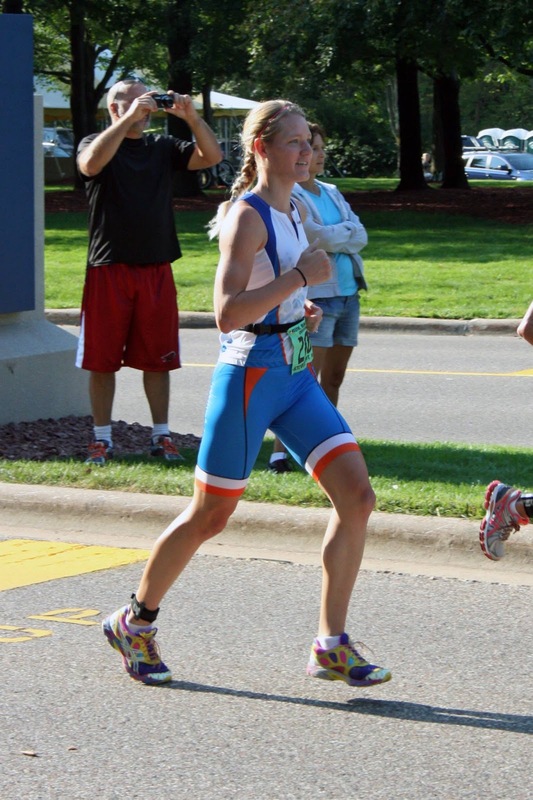 Six days after my first half-iron at Chisago Lakes, I did Wausau’s Olympic course triathlon, and that seemed to go okay. Then I had two weeks off before Pigman’s half-iron, six days after which I had signed up to do another duathlon. 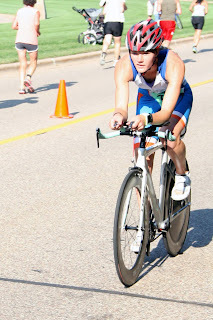 I seemed to make it through the first three races pretty well, but by the time the duathlon arrived, I was realizing that what I really needed was some good recovery time. I took it easy for the 5 days between races, but when I got to the starting line for the duathlon, my legs were not completely ready for this. It started with a 2.2 mile run, which I figured I should be able to do at about a 6:30/6:40 pace and still be able to bike well. I hung on at a 6:50 pace and instantly knew my body was not recovered to perform at its best. I have been battling a tight hamstring for several weeks, and doing run speed pushed it to its limits. Even during Pigman’s half-iron, I felt it on the half-marathon run. At Wausau, the bike at least got my muscle warmed up enough to run feeling okay. Not at this race. I knew I was pushing the line of injury if I went any harder, and well, I just felt like I couldn’t really run any faster either. I was in fifth for females coming in from the first run, and I headed out on the bike for the 14.6 mile ride. My plan was to bike hard today. I wanted to out-bike every other woman at that race. I struggled to push my watts, as my legs just didn’t have it in them to sustain the higher efforts, but nonetheless, I came in with a good split. I managed to pull of the fastest female bike split, averaging over 23 mph, and had the fifth fastest bike split overall! Solid. I’ve never biked that fast, so that was really exciting for me! I headed out on the second run of 2.3 miles, and already feeling like I wanted to be done. My body was taxed, and this speed stuff was tough! I think I’ve come to really like the endurance aspect of the bigger races. Who knew?! I went just under a 6:50 pace, having the second fastest female split and finishing as the second female (first in my age group) and sixth overall for men and women. The leader had outrun me, but since she used to run for the Wisconsin Badgers, I could not be shocked by that one. I did have almost five minutes on the third place finisher though, so it was still a fast day. This marked the end of my big racing season. It was an awesome year, and I far exceeded my hopes and expectations for it! I had started off with winning a 5K just two months post-baby, followed by a 10K win (both with significant PR times). 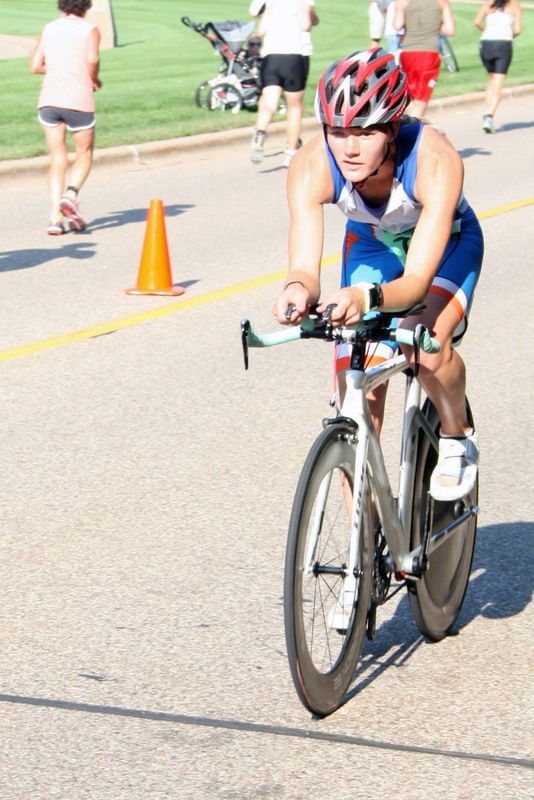 Green Bay kicked off the triathlon season with a very cold day, but a successful win, followed by a duathlon win at Badger State Games in Wausau. I had my FIRST swim meet of my life at Badger State Games, managing to win two of the events even! 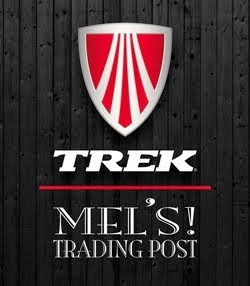 I took a long break from racing and focused on getting ready for my first half-iron distance races. 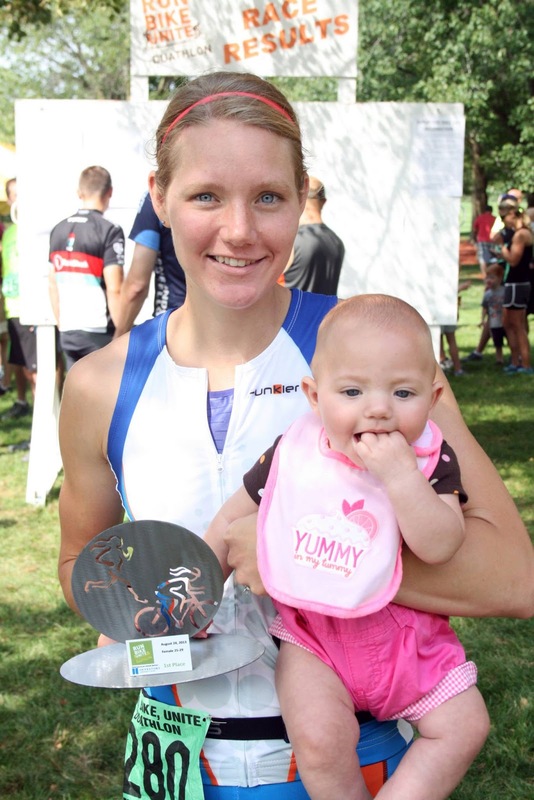 Chisago Lakes was surreal, with perfect weather and a sub-5 hour race and 4th place finish, and still only 5 months post-baby! Claimed another victory at Wausau’s triathlon, and then took on Iowa’s Pigman Half-Iron, dropping significant time and finishing in 5th. Then I wrapped the season up with this duathlon. I am very much satisfied with the season, but I also know my areas of weakness to work on in order to prepare for next year. Not able to QUITE be done yet, I signed up for my first marathon in October. Here I am in recovery week, and writing out my training plan for the next 6 weeks leading up to it. Just can’t quite end the year yet! Thank you to Rob, for coming out and racing with me, and thank you to Andy for photographing, watching Baya, and being a huge supporter and fan all season!